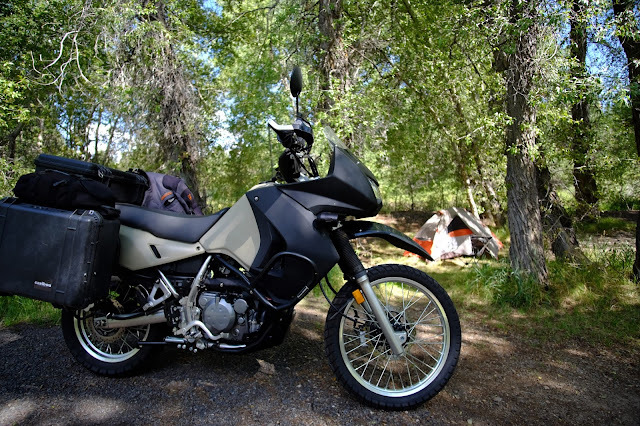 The pannier system is from Caribou with 35 liter Pelican cases that straddle a steel, powder-coated frame. This is an older design compared to Caribou's latest offerings, but still features lockable cases and lockable quick-release systems for case removal. 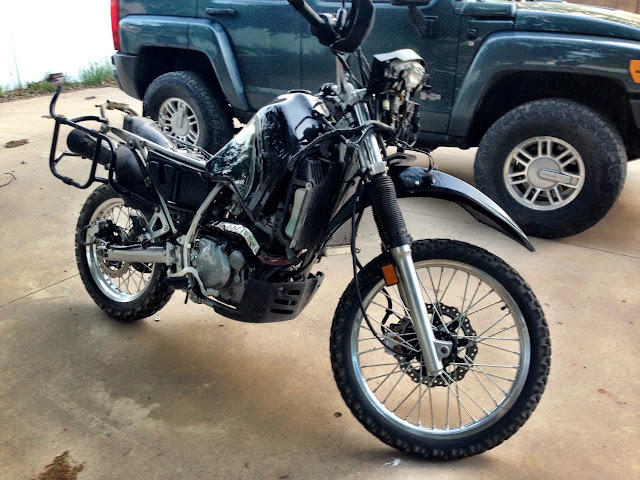 The system is expensive, and factored heavily into my decision to purchase this particular KLR. 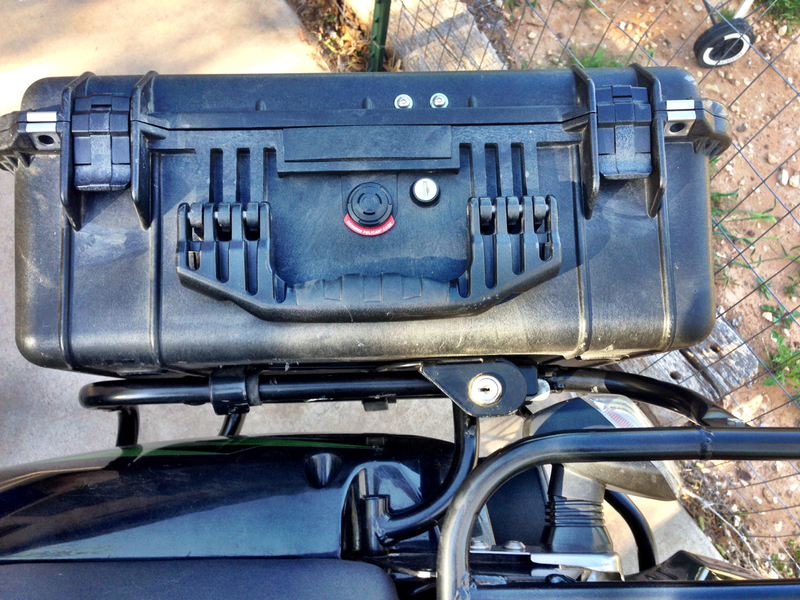 I've been working with Pelican cases sine they came on to the market. They're a mainstay in film production and photography and I've had at least dozen in various sizes to contain delicate and expensive film gear, handled by the world's worst airline baggage tossers, bellmen, shipping companies and failed tie-down straps at freeway speeds. Despite all the abuse, the cases never failed and their contents were never compromised. The Caribou system has been engineered to have the cases break away in the event of a collision since they're more stout than the frame upon which they're mounted. 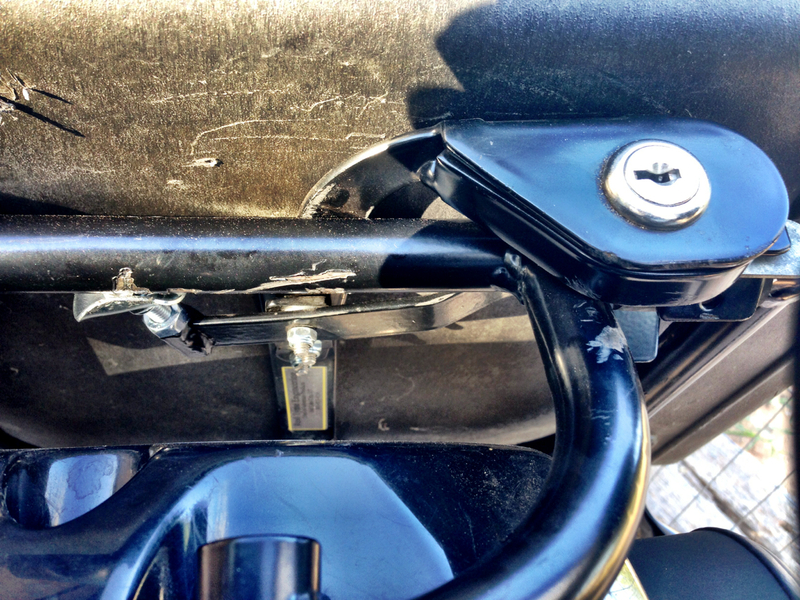 This system has been beaten up considerably, with bent cleats and a locking mechanism that barely engages on both sides. I was lucky to get everything home on my initial ride back from buying the bike. On further inspection, I found the cleats to be sprung out and the quick-release mechanism barely engaging. The fix included bending the steel cleats back into round and modifying the adjustable quarter-inch bolt that engages the levered quick-release. 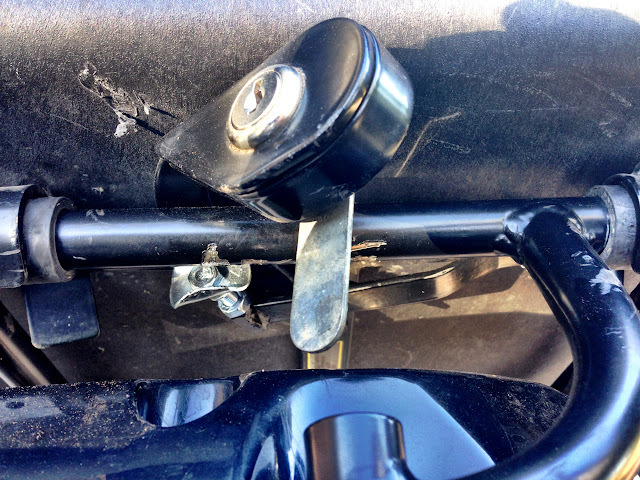 Seen above, disengaged, the locking mechanism pulls up away from the frame, lowering a compression arm below, attached to which is the adjustable bolt. The existing bolts were at their thread's extent and couldn't be adjusted any farther. I replaced both sides with longer bolts and fastened a large fender washer with a locking nut to the top of the bolt that screws into the level and locks with a second bolt. I bent the washer to hug the frame when it's engaged. Now there's ample compression against the frame with no more rattling around.